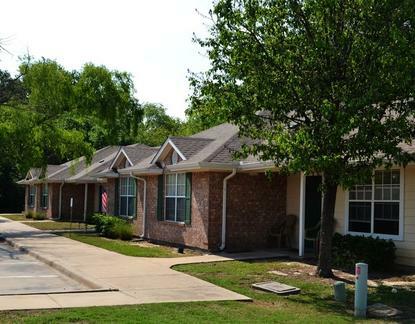 Oak Meadows Townhomes, located at 200 Maple St in Commerce, has one, two and three bedroom apartments. Oak Meadows Townhomes participates in the Section 42 Low-Income Housing Tax Credit (LIHTC) program. Oak Meadows Townhomes is accepting applications and does not have a waiting list. 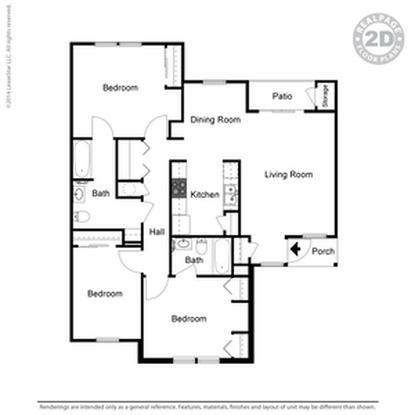 72 one, two and three bedroom units. 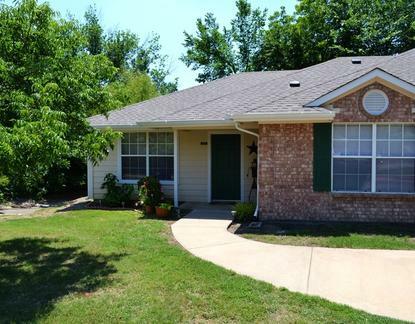 Oak Meadows is an affordable community created for families like yours. 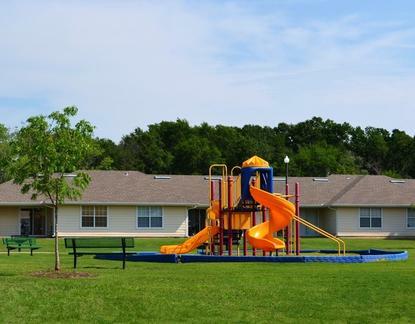 Within the beautiful landscaped grounds, Oak Meadows Townhomes offers a serene, peaceful atmosphere. With a sparkling community pool and colorful playground, there is activity for the entire family. 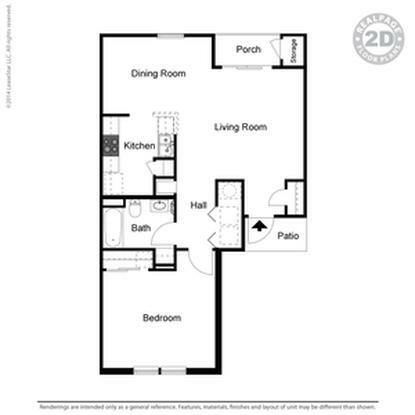 One step inside our distinctive 1,2 and 3 bedroom flats reveals spacious, comfortable floor plans that are highlighted by light and contemporary colors. With families in mind, Oak Meadows Townhomes offers full size washer/dryer connections as a standard feature along with energy efficient design. 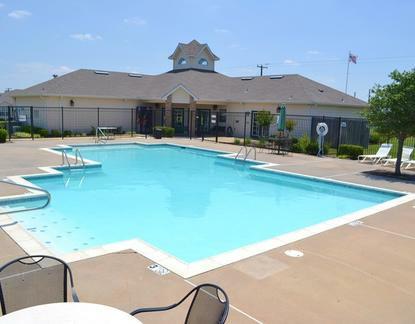 Discover our affordable lifestyle with the amenities you deserve. Since this property has received funding in part through the Low Income Housing Tax Credit (LIHTC) program, monthly rent cannot exceed the Tax Credit maximum rent for the area. Households earning less than 60% of the area median income qualify for units with reduced rent. Some rental units in this property may not be subject to LIHTC and therefore may be set at levels higher than the area's LIHTC limits. Oak Meadows Townhomes was built in part with financing obtained through the Low Income Housing Tax Credit (LIHTC) program. In addition to providing apartments for low-income households, this property could include some market rate units. Households earning 60% or less of the Area Median Income (AMI) qualify for targeted rental units in LIHTC financed housing. 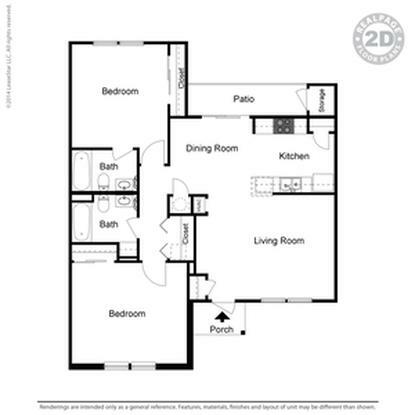 This property may also designate units for renters with even lower incomes, from 60% of AMI down to 30% AMI. It is even possible that all units have been set aside for those with extremely low incomes (as low as 15% of AMI). This means that the same size unit can rent for different amounts based on the income of the renter. Oak Meadows Townhomes is managed by Quest Asset Management.